More crock pot madness coming your way! Sorry if you are sick of these. 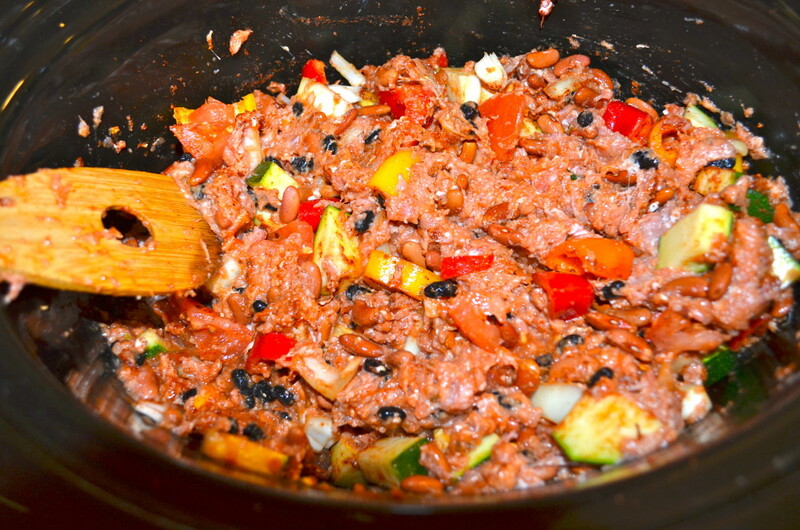 It is just so convenient to throw everything in a pot and let it cook overnight or while you are away. It’s great for work days, and perfect for busy moms! Crock Pots aren’t expensive, so I think you should invest in one ASAP to make your life a heck of a lot easier. I have been missing out all this time! 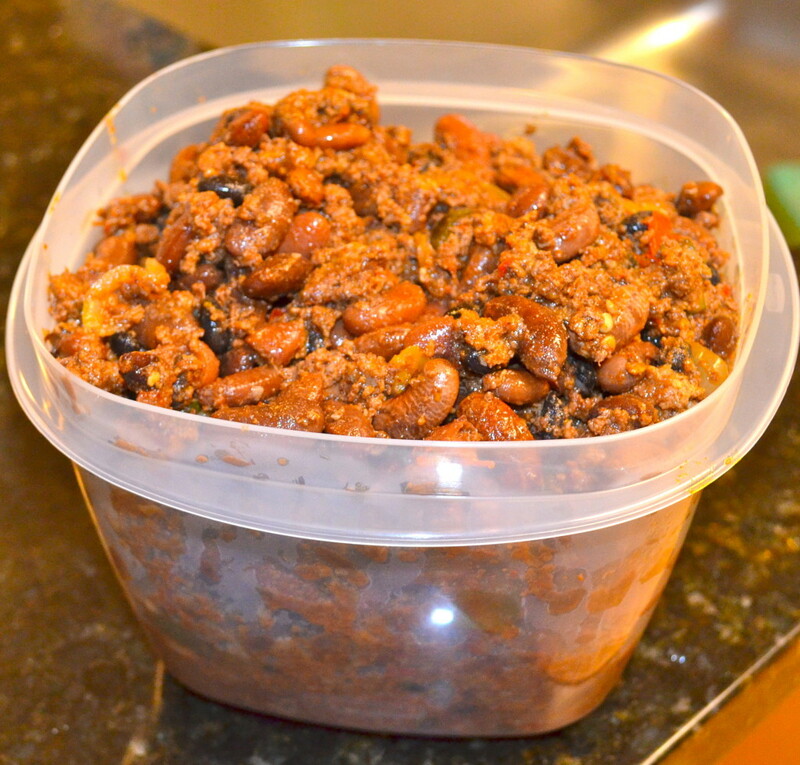 I bring a clean turkey chili to you today. 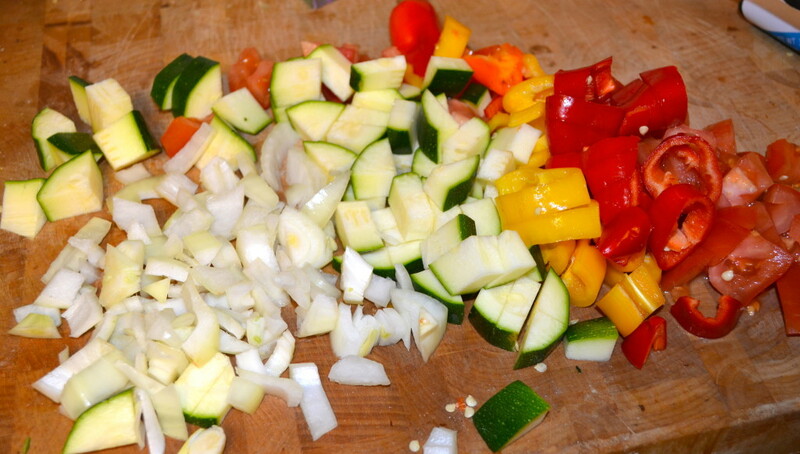 It’s great for easy dinners, or to pack in lunches with more veggies. 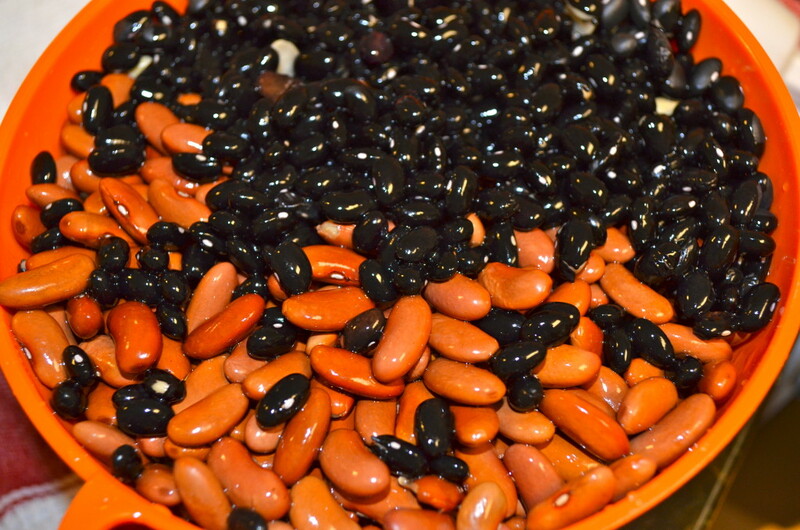 A great source of protein, and loaded with veggies and beans to supply your body with the fuel it needs for the day. Plus ground turkey has the good fats in it! I buy 93/7 ground turkey, not the 99% fat free. That stuff has zero taste! 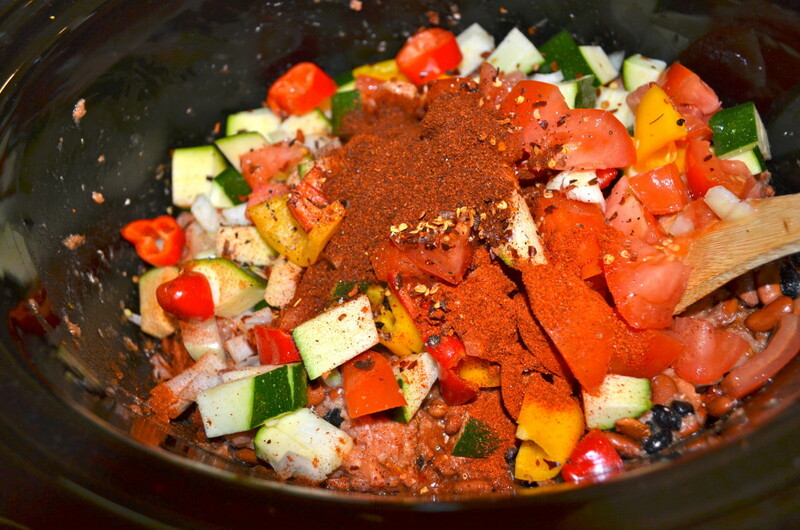 Adding the veggies and spices! 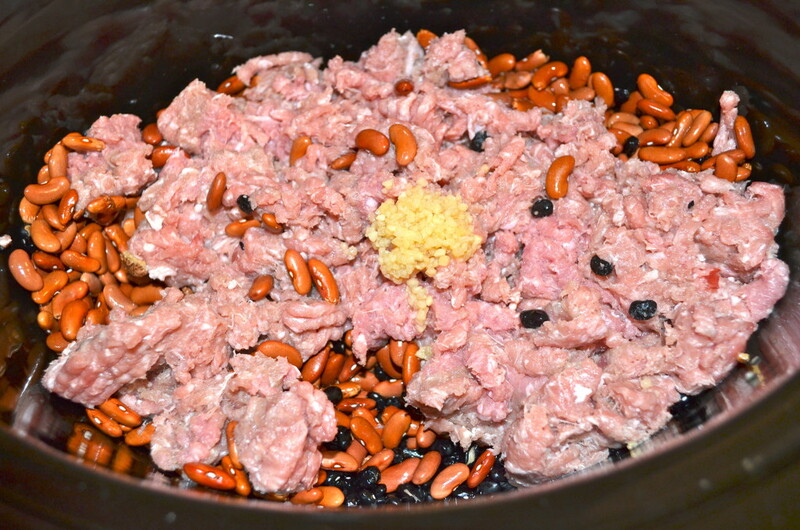 Mix it up, cover, and place on low for 7-8 hours. 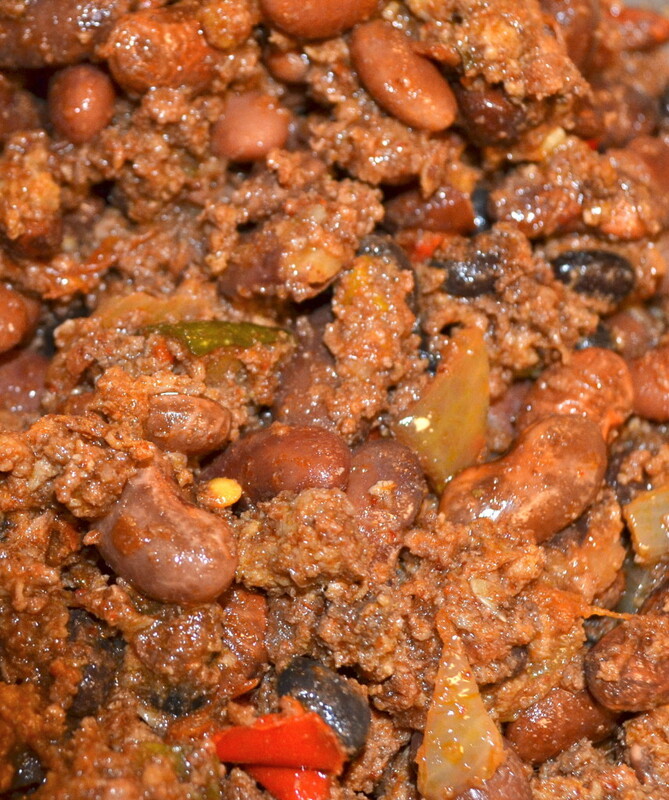 Just look at this chili up close! It’s full of delicious veggies, and I just love the beans 🙂 Since they are put in dry they are not mushy! Yeah, when I would follow other blogs I loved the ones that had step by step pictures! One end picture does me no good! Looks delicious! Making it today! How do you eat it back up after you freeze it? 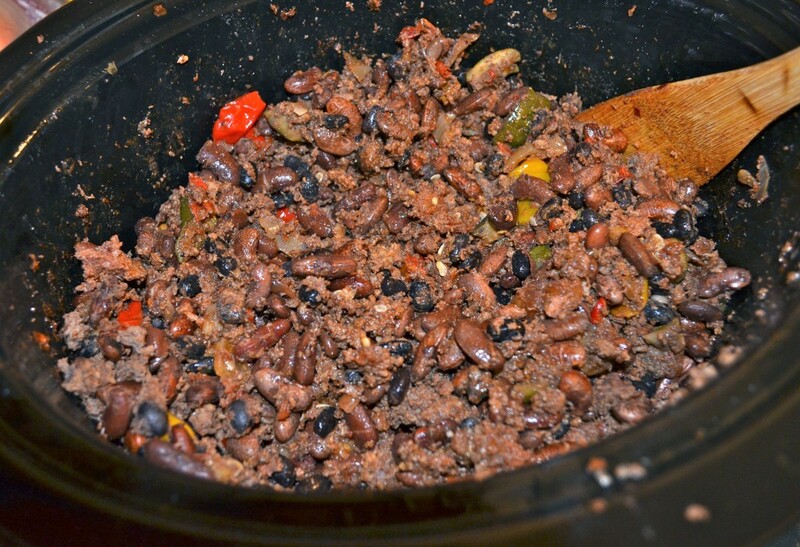 Did u cook the beans first or did you hav the beans cooking along with the other stuff? So the beans are not canned?